If you’re not exfoliating your lips, now is the time to start! 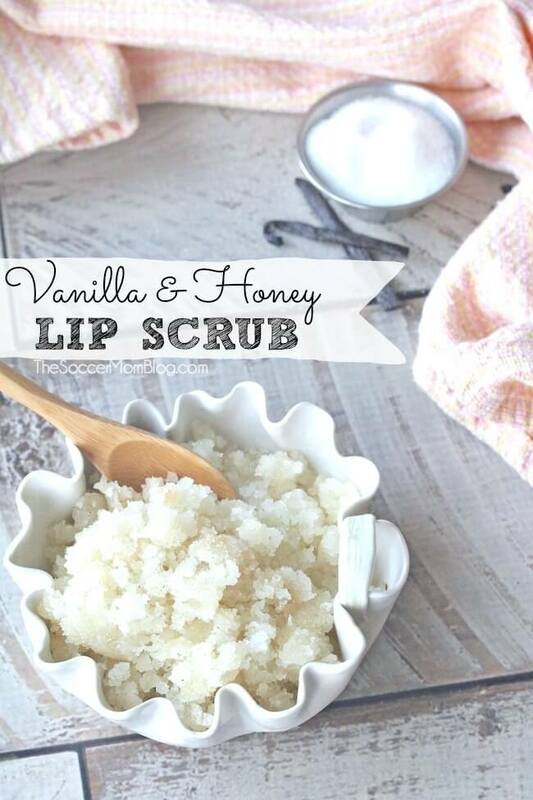 This Vanilla & Honey DIY Lip Scrub is an easy way to keep your lips healthy and hydrated. I am religious about putting on lip gloss, but exfoliating your lips is equally as important for keeping them healthy and hydrated! 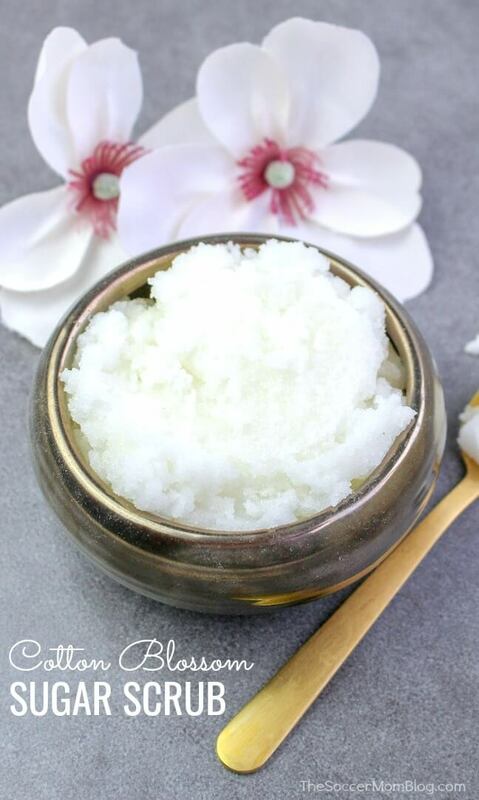 This DIY lip scrub smells absolutely heavenly and takes just minutes to make – plus it’s a lot cheaper than fancy spa products! 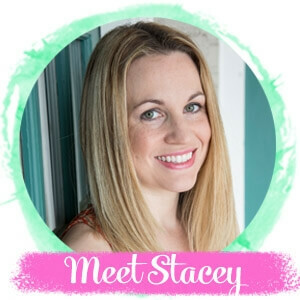 Vanilla and honey is one of my favorite fragrance combinations, which is why I especially love this DIY lip scrub recipes over others I’ve tried. 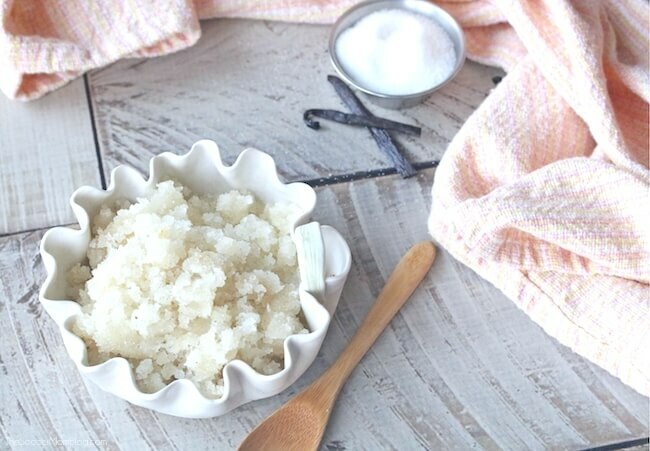 This homemade lip exfoliating scrub recipe is easy to make and requires only 4 simple ingredients – you might already have them on hand. It makes about one cup packed, so it’s definitely enough to share or gift! 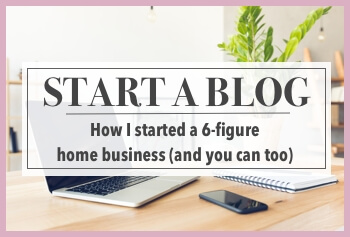 If making just for yourself, you might want to half the recipe. Dry, flaky lips are a pretty good sign that you’re dehydrated. Drinking more water can help prevent this, but what if you’re lips are already a hot mess? Lip balm protects your lips while they heal, but it’s also important to exfoliate your lips to remove the dead skin (which can harbor bacteria). Yikes! Just reading that makes me want to go exfoliate right now! 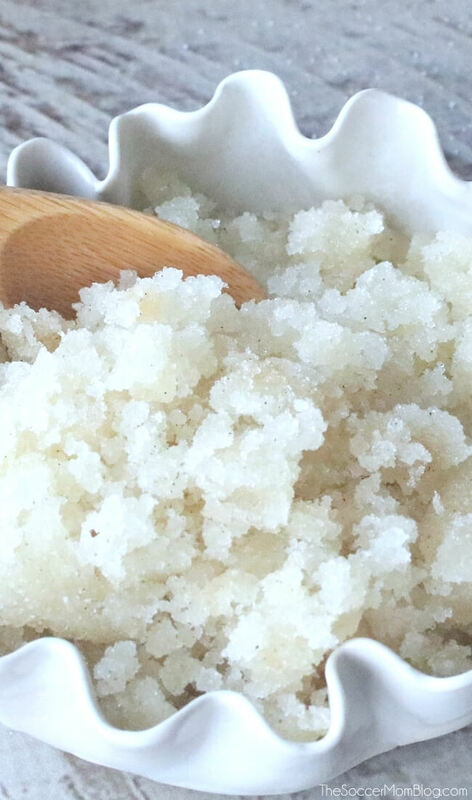 That’s why I love to have a batch of this luscious vanilla honey lip scrub ready to go – so let’s make it! 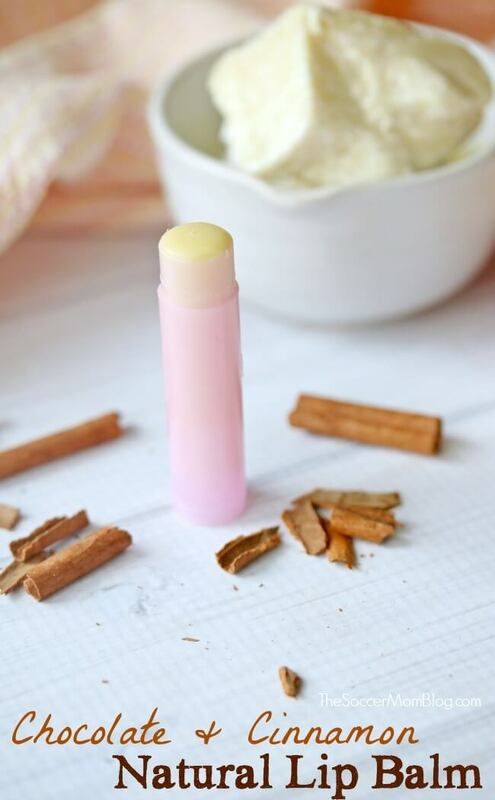 PS – Be sure to follow up our homemade lip scrub with this amazing Cinnamon Chocolate Homemade Lip Balm! It smells AMAZING and is super moisturizing! Plus, it’s made with safe, natural ingredients. 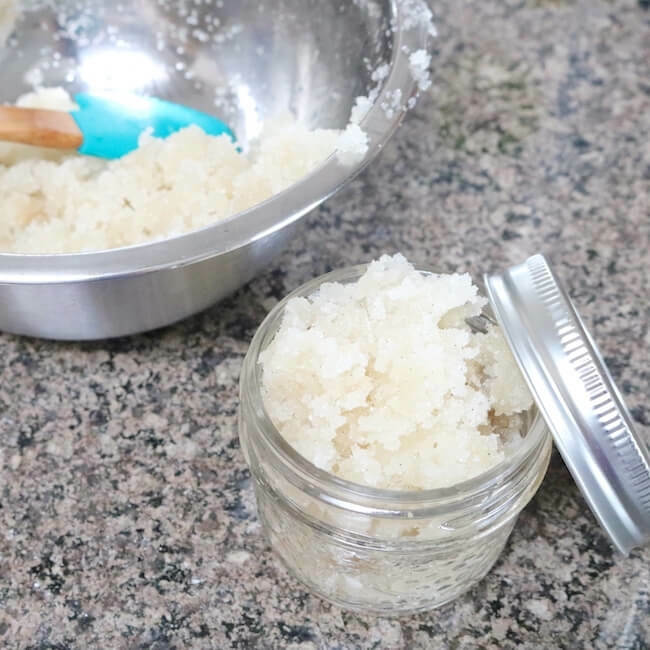 For your convenience, I’ve included shop-able ad links to products used to make this DIY lip scrub recipe; disclosure policy available here. TIP: We recommend using liquid honey; however you can absolutely use raw honey (it just might be harder/thicker). For easier mixing, warm raw honey slightly beforehand. Makes one large cup, packed – which makes for great gifts! 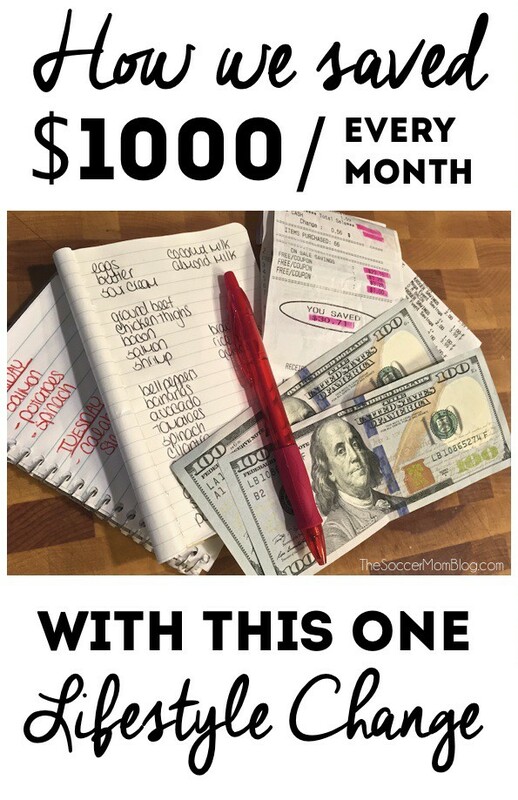 If using for just yourself, cut the recipe in half. 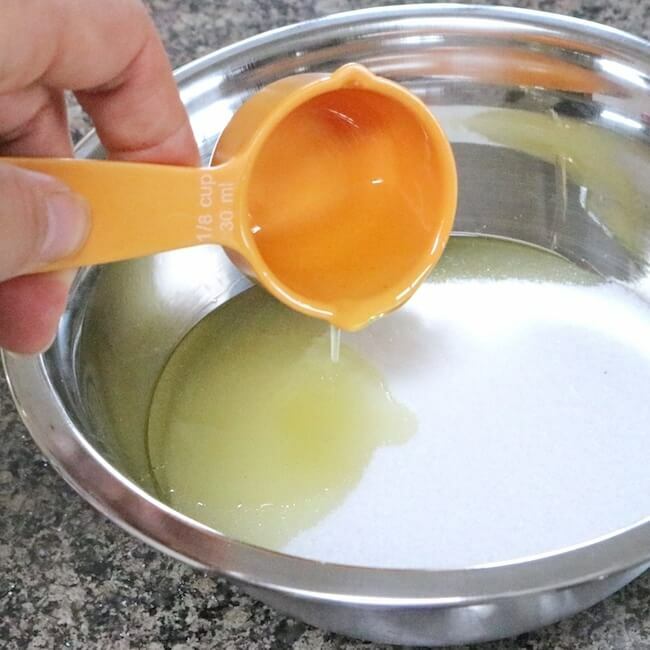 Add the sugar into a small bowl and pour in the oil. Stir lightly until just mixed. Add in the honey and vanilla and continue mixing until all ingredients are fully combined. TIP: For extra vanilla yumminess, add a few drops of vanilla essential oil to the mixture! To store: Keep in a sealed, airtight container at room temperature. 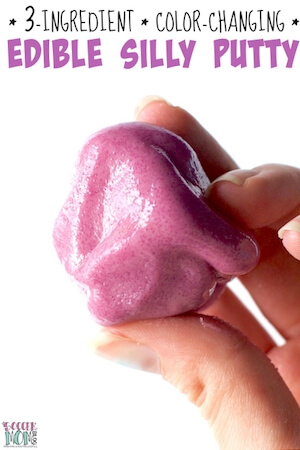 To use: Apply a generous amount of homemade lip scrub to your lips and gently massage. Rinse off with warm water. TIP: Always use clean hands to scoop lip scrub out of the jar, or better yet, a clean spoon. 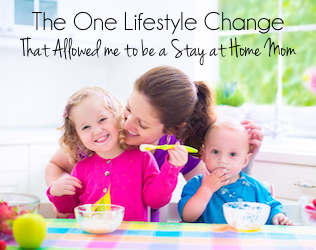 This helps prevent bacteria from getting inside and makes your homemade lip scrub last longer.